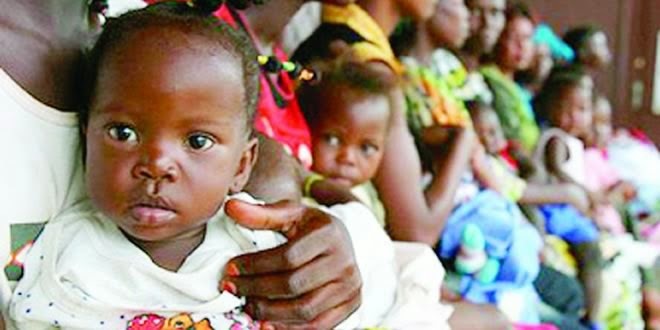 The Communication Specialist added that Borno, Yobe and Kano account for 72 per cent of all polio cases in the country so far this year, while three per cent of LGAs were infected with polio virus, while circulating polio genetic clusters dropped from eight to two per cent. Khanna also said that no Wild Polio Virus Type 3 case has been detected in the country so far this year, adding that the last case occurred 11 months ago. However, he insisted that ending polio is a critical step toward improving the lives of Nigeria’s most vulnerable children. Khanna, noted that investing in reaching all children with the polio vaccine leads the way to reaching them with other life-saving health care interventions. World Polio Day was established by Rotary International over a decade ago to commemorate the birth of Jonas Salk, who led the first team to develop a vaccine against poliomyelitis. Use of this inactivated poliovirus vaccine and subsequent widespread use of the oral poliovirus, developed by Albert Sabin, led to the establishment of the Global Polio Eradication Initiative (GPEI) in 1988. Since then, GPEI has reduced polio worldwide by 99 per cent. However, in 2012, transmission of indigenous wild poliovirus continued in three countries: Nigeria, Afghanistan, and Pakistan. In April 2012, the World Health Assembly declared the completion of polio eradication a programmatic emergency for global public health. This story was published in Newswatch Times on October 24, 2013. Vaccination key to polio-free Nigeria, 2014 – Rotary Rotary international in Nigeria has urged Nigerians to support efforts towards raising awareness on polio and embrace the polio vaccination as it is the surest way to help the nation achieve its 2014 total polio eradication goal and join the league of polio-free countries for children, including India and America. Chairman, Nigeria National PolioPlus Committee (NNPPC), Dr Tunji Funso who made this call in Lagos said, “While the whole world has recorded tremendous success in the fight against polio from the 125 endemic countries as at 1988, Nigeria alongside Pakistan and Afghanistan currently remain the three polio endemic countries but with consistent vaccination, the world would soon be free of polio just like it did with small pox. Funso who is also the Past District Governor of Rotary further observed that the country currently requires one billion dosage of vaccine annually to eradicate the disease. He added that NNPC is striving to raise $500million for the total eradication of polio in Nigeria alone. Speaking at the first Rotary Nigeria Bike-a-Thon, a charity cycling event organized in Lekki axis of Lagos last Saturday to mark the World Polio Day, Dr Funso expressed optimism on the drive towards a polio-free Nigeria and the world, reasoning that there is progress so far in the eradication of the disease. He said: “There is cause for celebration because as at 1988, 1000 children get infected daily by polio. Today, only three countries are left and with just about one case of polio every two days. “As at October 4, Nigeria has only one confirmed circulating vaccine derived poliovirus (cVDPV2) in one state compared to five cases in two states same period in 2012. Also, there were 49 cases of confirmed WPV in 9 states compared to 101 cases in 11 states same period 2012,” he added. According to him, the achievement was possible due to the relentless efforts of rotary international in driving the largest public private partnership in history by advocacy using its over 1.2 million member volunteers around the world. According to Funso, his organisation collaborates with international governments, World Health Organisation (WHO), United Nations Children’s Fund (UNICEF) and Bill and Melinda Gates foundation who have been providing financial, technical and human resources to do the job by advocating, raising funds and actively participate in immunizing children. The NNPPC boss, noted that 99 per cent success has been recorded so far in the fight against polio but insisted that only 100 per cent breakthrough will make both Nigeria and the whole world safe for children below the age of five who are key targets of the deadly virus. “We are 99 per cent on our way to eradicating polio but as every long distance runner knows it is that last mile that is most difficult and requires bringing out not only physical resources but mental as well.” He said, “The World Polio Day is so designated to focus on the polio disease which until recently was a scourge affecting children all over the world.” “This is partly why this Rotary Bike-a-Thon took took place in Lagos. To remind all and people in the southern part of the country that polio is still with us and we need to get the job of polio eradication done by working to end polio now.” The Bike-a-Thon event was a one-day fun cycling ride organised to generate interest, increase awareness and raise funds for activities towards total eradication of polio disease which is endemic in the country, especially in the North. Nollywood star actress and Rotary Polio Ambassador, Funke Akndele led other participants at the event joining other Rotary global icons around the world, including Bill Gates, Desmond Tutu, Isabella Fontana, Donnie Yen, Jackie Chan and many others in creating awareness for polio using fun in a practical way. Lagos State Government says no fewer than 36,000 limb deformity patients have been screened while 4,000 out of those screened have had corrective surgeries under its Free Limb Deformity Corrective Surgery Programme since the inception of the Programme in 2004. Coordinator for the Programme, Dr. Dolapo Fasawe who stated this at a screening exercise for another batch of beneficiaries at the Lagos State University Teaching Hospital (LASUTH) noted that about 150 people have also been registered for the latest round of the screening exercise with the hope that they (the people) will all benefit from free surgical procedures. She explained that the programme was conceived in 2004 because the state government realized that there were a lot of people on the streets with various forms of correctable limb deformities who had either resigned to a life of begging or disability. Said she “we decided to start this programme to help correct some of these deformities so that these children and young adults can be useful in the society. A lot of people come to our clinic with various deformities but they are not able to afford the payment for surgery. There are also people who do not know that some of these deformities could be corrected. So we started this programme to address all these issues, bring the people together, offer surgery, offer rehabilitation and at times give artificial limb so that we can make these patients function properly and be of economic use to themselves”. Fasawe added that under the programme, aside the free surgical procedure that is offered, free artificial limb, wheel chair, crutches, caliphers and walking aids are also given to patients who required them adding that some patients have also benefitted from plastic and knee replacement surgery procedures. She noted that before a patient undergoes surgery, such a patient would have gone through several tests including clinical, physiotherapy and X-ray screening and examinations and would have been certified good for such. “Usually when we screen patients, we always take patients that will definitely benefit from surgery before them for surgery. They will have to go for several tests which include X-ray, for some, we even refer them for medical treatment before surgery. All these tests we usually take between three to four weeks and once we get the result, we call the patients together again and do a final screening. So in another five weeks we should be able to have surgery”, She said. Fasawe opined that the Limb Deformity Corrective Surgery Programme is a sustainable programme that will outlive any government in power. Head of the surgical team and a Consultant Orthopedic Surgeon, Dr. Adebola Olusegun Laketu noted that there are various forms of limb deformities patients usually present with the commonest been blank disease, deformities from trauma, polio and some congenital deformities. He noted that people who have these deformities present at late stage when the deformity is severe which makes correction cumbersome stressing that early stage presentation of these deformities allow for easier management. Said he, “if we see them early, some of them like those who have rickets, we could treat with medication and sometimes they will straighten out and they will be corrected. Some when they come very early , what we need to do for them are simple surgery and not evolving but when they come very late; when the deformity is very severe, we need to do more complicated surgery for them and the result is not as good as when we do them at a younger early age”. Laketu added that the screening exercise is to access the patients and plan surgeries stressing that a lot of the patients that came for the screening exercise presented with late stage of deformities and as such there is the need to investigate, screen and prepare those booked for surgeries. “Going by previous experience, we do nothing less than 60 surgeries for each surgical phase of the programme. We are screening them today, we will investigate them and give a date when they will come back for review and then fix a date for surgery”, the Consultant Orthopedic Surgeon said. The cancer arm of the World Health Organisation (WHO), International Agency for Research on Cancer (IARC) which is based in Lyon, France, on Thursday, confirmed that air pollution causes cancer. An agency report stated that the decision came after a consultation by an expert panel organized by IARC, adding that air pollution is a carcinogen, alongside known dangers such as asbestos, tobacco and ultraviolet radiation. The report said: “What many commuters choking on smog have long suspected has finally been scientifically validated: air pollution causes lung cancer.” Kurt Straif, head of the IARC department that evaluates cancer-causing substances, noted:”We consider this to be the most important environmental carcinogen, more so than passive smoking.” IARC had previously deemed some of the components in air pollution such as diesel fumes to be carcinogens, but this is the first time it has classified air pollution in its entirety as cancer causing, the report said. The risk to the individual is low, but Straif said the main sources of pollution are widespread, including transportation, power plants, and industrial and agricultural emissions. Air pollution is a complex mixture that includes gases and particulate matter, and IARC said one of its primary risks is the fine particles that can be deposited deep in the lungs of people. “These are difficult things for the individual to avoid,” he said, adding; “when I walk on a street where there’s heavy pollution from diesel exhaust, I try to go a bit further away.” he said. The fact that nearly everyone on the planet is exposed to outdoor pollution could prompt governments and other agencies to adopt stricter controls on spewing fumes. Straif noted that WHO and the European Commission are reviewing their recommended limits on air pollution. 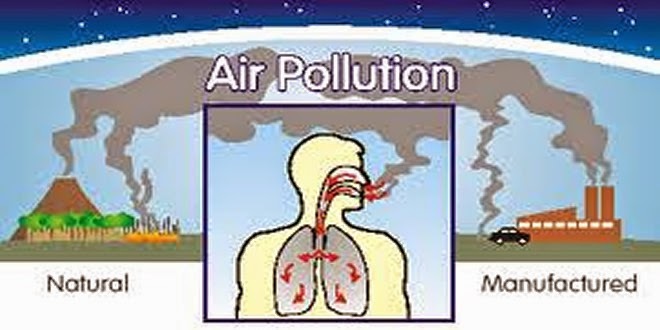 Previously, pollution had been found to boost the chances of heart and respiratory diseases. The expert panel’s classification was made after scientists analyzed more than 1,000 studies worldwide and concluded there was enough evidence that exposure to outdoor air pollution causes lung cancer. In 2010, IARC said there were more than 220,000 lung cancer deaths worldwide connected to air pollution. The agency also noted a link with a slightly higher risk of bladder cancer. Straif said there were dramatic differences in air quality between cities around the world and that the most polluted metropolises were in China and India, where people frequently don masks on streets to protect themselves. China recently announced new efforts to curb pollution after experts found the country’s thick smog hurts tourism. Beijing only began publicly releasing data about its air quality last year. “I assume the masks could result in a reduction to particulate matter, so they could be helpful to reduce personal exposure,” Straif said. But he said collective international action by governments was necessary to improve air quality. “People can certainly contribute by doing things like not driving a big diesel car, but this needs much wider policies by national and international authorities,” the head of the IARC department said. Other experts emphasized the cancer risk from pollution for the average person was very low – but virtually unavoidable. Reacting to the research, Francesca Dominici, a professor of biostatics at Harvard University’s School of Public Health, said:”You can choose not to drink or not to smoke, but you can’t control whether or not you’re exposed to air pollution, adding, ‘you cannot just decide not to breathe.” Dominici was not connected to the IARC expert panel. A person’s risk for cancer depends on numerous variables, including genetics, exposure to dangerous substances and lifestyle choices regarding issues such as drinking alcohol, smoking and exercising. Dominici said scientists are still trying to figure out which bits of pollution are the most lethal and called for a more targeted approach. “The level of ambient pollution in the U.S. is much, much lower than it used to be, but we still find evidence of cancer and birth defects,” she said. “The question is: How are we going to clean the air even further?” Dominici asked rhetorically. This story was published in Newswatch Times on October 19, 2013. Penultimate week, the world marked the Cerebral Palsy (CP) Day. The World CP day is commemorated yearly, on the first Wednesday in October. But, the celebration this year was special for many reasons in Nigeria, as Benola Cerebral Palsy Initiative, Lagos, seized the opportunity to honour their partners and others for their efforts in supporting the organisation in its work in the area of CP. Among those recognised were Uchenna Ogochukwu Makueke and Oluwabusola Claudia Akisola. Akinsola, is a project officer with Children Development Centre (CDC), Surulere and Madueke, a teacher at Open Doors Special Education Centre, Jos, Plateau State thanked Benola for making them ambassadors. Uchenna was born in Jos, September 29, 1975, and had her primary education at University of Jos Primary School before proceeding to Tempest Comprehensive High School. She later attended the University Jos and graduated 2001, with a Diploma in Special Education with upper credit. Uche, as she is fondly called then served from 1998 to 1999 as a teaching assistant at the Special Education Model Teaching Centre of the University of Jos and has been a teacher at Open Doors Special Education Centre Jos, Plateau State, since 2001. Uche, who is the founder of the CP Society of Plateau State, has authored a book about her life, titled; “Miss Courageous” to help encourage families of children with CP. In June 2009, she attended a conference in South Africa where people with disabilities from all over Africa learnt to tell the story of their life digitally. According to Uche, her objective in life is to encourage families of children with cerebral palsy. Busola, was born August 1, 1981, and holds a Master’s Degree in International Economics and Trade from the prestigious London Metropolitan University. The self-motivated team-player who is keen to take on new challenges had her first degree in Economics from Babcock University, Nigeria, and served in the 2005/2006 set of the National Youth Service programme. She worked briefly with League Concepts and Marketing Ltd, Nigeria, where she served as Research Officer and Associate Editor of the company’s magazine “Agro Pivot” in 2008. She also did Administrative/Voluntary work with various organizations in London, England between 2010 and 2011. Busola who has a number of Research works to her credit, has been working with Children Developmental Centre (CDC), Surulere, Lagos, as a Project officer, Since March 2012. “Cerebral palsy is not a disease but a condition. One can achieve whatever he wants in life” these were the remarks of Uchenna and Busola after they received the awards as ‘Benola Ambassador.’ They further thanked the organisation and appealed to the general public to support them. Their words: “We are grateful to Benola, our employers and our families. Cerebral palsy is not a disease but a condition. You can always manage a condition. People should not run from cerebral palsy patients. They should support them.” They lamented that the major issues in the management of CP are stigma and fear. There are 700,000 children with CP in Nigeria, while 3.5 million people, including, parents, siblings and care-givers are directly affected by CP. 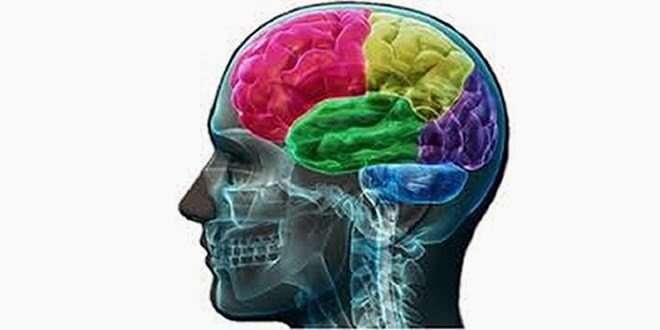 But they observed that most causes are preventable and can be reduced with improved primary health services, while a diverse group of experts are required for proper management of Cerebral Palsy, covering the fields of medicine, care and education. Others who were recognised were: KEMSAD VENTURES, Friend of Benola (Sponsor); Air Marshal AS Badeh, Chief of Air Staff Nigeria, Friend of Benola; Vice Admiral Mathew Quashie, Chief of Defence Staff, Ghana Armed Forces, Friend of Benola and Dr Uwem Esiet, Co-Founder Action Health Initiative – Friend of Benola (For his selfless and continuous mentoring) Others who were recognised are;Temidayo John Yekini, aka ‘Tiwezi,’ Friend of Benola (For composing, arranging and recording Benola’s theme song; “Heart of the Matter” (A Kingdom Perspective) A Guiding Light Assembly TV programme, Friend of Benola and Partner and NTA 2 Channel 5 – Friend of Benola (Partner). The rest are; “Soni Irabor Live” An Inspiration 92.3FM Radio Talk Show, Friend of Benola (Partner) and Newswatch Newspaper (Health Desk), Friend of Benola (Partner). Speaking at the occasion, Femi Gbadebo, Founder/CEO, Benola Cerebral Palsy Initiative, explained that the World CP Day is a project that runs yearly, with the theme ‘Change My World in One Minute.’ During this occasion, people are called upon to post ideas capable of making life better for persons living with limitations, Gbadebo said. During that period, each panellist will be expected to review all ideas based on Impact (that is the number of people with CP around the world whose lives each idea would change). A second panel of World CP Day committee members will then review the feasibility and viability of the top ideas. They will then announce the three shortlisted ideas in January and call for inventors. The entire process will come to a close on July 21, 2014 when the winners will be announced, Gbadebo said. From January to June, inventors, researchers and creators are invited to create a design or prototype for one of the three shortlisted ideas. They compete for a prize pool of $50,000. The winners are announced in July and then the website opens for the next campaign, he added. This story was published in Newswatch Times on October 17, 2013. A new study published in JAMA Pediatrics shows that children who are vaccinated against measles between 12 and 15 months are less likely to suffer fever or seizures than those vaccinated between 16 and 23 months. The Centers for Disease Control and Prevention (CDC) recommends a first dose injection with a measles-containing vaccine at 12 to 15 months, with a follow-up “booster” between the ages of four and six. Approximately 85 per cent of children will have received their first dose by the age of 19 months, but the study found that receiving the first dose by 15 months provides a benefit to children. Researchers from the University of Washington carried out a retrospective cohort study at eight Vaccine Safety Datalink sites on a total of 840,348 children aged 12 to 23 months of age who had been vaccinated against measles from 2001 through 2011. Dr. Ali Rowhani-Rahbar, from the University of Washington’s Department of Epidemiology and lead author of the study, says: “We found that the magnitude of increased risk of fever and seizures following immunization with measles-containing vaccines during the second year of life depends on age. While measles-containing vaccines administered at 12 to 15 months of age are associated with a small risk of fever and seizures following immunization, delayed administration at 16 to 23 months of age results in a greater risk of those adverse events.” The CDC estimates that on average, 60 people in the US are reported to have measles each year. Numbers recorded for this year, from January1 to August 24 were higher with 159 reported cases. Improved vaccination programs have dramatically reduced the number of people suffering from measles – according to the CDC, by more than 99 per cent. Measles is still common in other countries. The virus is highly contagious and can spread rapidly in areas where vaccination is not widespread. The CDC estimates that in 2008 there were 164,000 measles deaths worldwide – that equals about 450 deaths every day or about 18 deaths every hour. And in April 2013, Medical News Today reported up to two million children in the UK are at risk from the disease because of low uptake of the vaccine 10 years ago. Previous studies have shown that measles vaccines given to children 12 to 23 months of age are associated with an increased risk of febrile seizures one to rice weeks after immunization. This is the period of time during which the vaccine virus replication is at its peak, potentially causing fever. The resulting fever may cause some children to have a seizure – a potentially traumatic experience for parents or caregivers. The CDC states that during the seven to 10 days after vaccination, about one additional febrile seizure would be expected to occur among every 2,000 children vaccinated with the measles, mumps, rubella and varicella (MMRV) vaccine, compared with children vaccinated with MMR and varicella separately at the same visit. While febrile seizures are the most common adverse effect following immunization with measles-containing vaccines, senior author and co-director of the Vaccine Study Center, Dr. Nicola Klein notes that the risk is small regardless of age: “Medically attended febrile seizures following immunization with measles-containing vaccines are not common events. Concerned parents should understand that the risk for febrile seizures after any measles-containing vaccine is low – less than one febrile seizure per 1,000 injections.” Modifying effect of age on reaction to vaccine Using data from the Vaccine Safety Datalink, researchers from the CDC and nine managed care organizations evaluated the potential modifying effect of age on the risk of fever and seizures following immunization using different combinations of vaccines. First, any measles-containing vaccines and the MMRV vaccine compared with the measles, mumps and rubella vaccine (MMR) administered with or without a separate varicella vaccine (MMR+V). Researchers found that while the incidence of fever and seizures during day seven to 10 was significantly greater than any other time in all age groups, the patterns for fever and seizures were different. Seizures were most common among children aged 16 to 18 months. The incidence of fever, however, steadily declined from 12 to 13 to 19 to 23 months. Although there was only a slight risk of fever or seizure during the seven to 10 days interval, this risk was significantly greater among the children aged 16 to 23 months than those aged 12 to 15 months. The risk of seizures was also significantly greater among children aged 16 to 23 months than among children aged 12 to 15 months during the seven to 10 days window. The researchers also note that the incidence of fever and seizures during the seven to10 days following immunization with MMRV was significantly greater than that following immunization with MMR+V. This finding is consistent with the findings from previous studies. 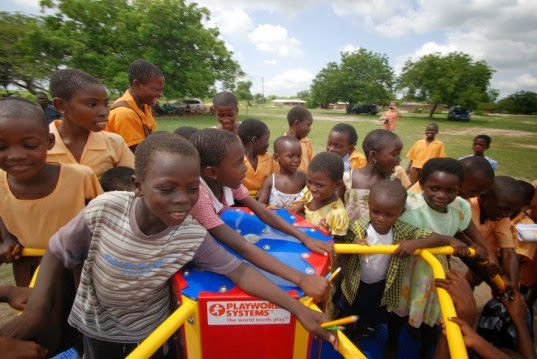 Ahead of the Global Hand Washing Day on Tuesday, an international research body announced that studies have confirmed that a child infects 50 per cent of his school mates during playtime. The research mission under the sponsorship of soap brand, Safeguard did the study to determine the rate of germ transfer and contamination among school children. The research mission was conducted by the Beijing Health Technical Research Center using 40 children in an elementary school in China. One child was designated Patient Zero and had his hands marked with ‘a safe fluorescent agent’ representing germs. Within a day period, the child interacted with his friends inside and outside the classroom, performing the usual activities of any school child – studying, playing and eating with his friends. At the end of certain periods, the researchers used a UV light detector to check the children for traces of ‘contamination,’ in order to determine how many children had residue of the fluorescent agent on them at different time intervals and during different activities. Commenting, the research center’s Dr. Jeffrey Jin, said: “The spread of germs in our highly populated societies is a real danger. A high level of people-to-people interaction leads to greater and faster transfer of germs from person to person, and especially from child to child, because as shown by this experiment, children tend to be very susceptible.” “This widening chain of person-to-person contact and germ transfer could translate into a widening chain of illnesses,” Jin said. This is why doctors recommend frequent hand-washing with anti-bacterial soap, he added. By doing so, “we can break the germ transfer chain and protect children’s health,” Jin stated. Global Handwashing Day was established in 2001 by the Global Public-Private Partnership for Handwashing with Soap (PPPHW), a coalition of ten international stakeholders that includes three multinational consumer goods companies and aid agencies UNICEF and USAID. A nephrologist, Dr Ebun Bamgboye, has said that ongoing studies in Nigeria have confirmed that one out of every five persons had one stage of kidney disease or the other. Bamgboye, who works at St. Nicholas Hospital, Lagos, said in an agency report, that the studies also showed that black people’s kidneys were prone to renal failure. Wikipedia, the free encyclopaedia, defines renal failure as a medical condition in which the kidneys fail to adequately filter waste products from the blood. “Studies are ongoing that in Nigeria, probably about one out of every five of us has one stage of chronic kidney disease or the other. Not all of them have got to the stage where they required dialysis of course, the nephrologist said. “But, if you are looking at individuals who have chronic kidney disease in requirement of renal replacement therapy, that is, either dialysis or transplant, you are looking at 100 new cases per million populations every year. He added: “So, in a population of about 150 million, you are looking at a very least, 15, 000 new cases every single year. “The implication of that; the number of the new cases plus the old ones are estimated to be about 300 per million population, which is, the population of about 150 million will come to about 45, 000 persons who require dialysis or transplant at anytime in a country as Nigeria. “But, if you look at the number of people that are accessing healthcare they are probably less than 1,000. “The implication is that if you are in end stage and you need dialysis and you don’t access it, you will die within about a week or two weeks. “So, obviously many people are dying from kidney failure because they are not able to access care,” Bamgboye said. He said that hypertension, Chronic Glomerulonephritis and diabetes were some of the major causes of kidney failure. According to him, one out of five adult Nigerians has hypertension. Bamgboye said that many people having hypertension were not aware that they were hypertensive. He said that only 30 per cent of hypertensive victims knew of it while only 30 per cent of those on treatment were controlled. The nephrologist also said that between N5.2 million and N10 million would be an average cost of managing a patient in the end stage of chronic kidney disease that required dialysis. Bamgboye said transplant was the cheapest method to tackle kidney disease, adding that a patient would need about six million naira to carry out kidney transplant. “We started about 10 years ago and so far we have done about 125 successful transplants. I do know that, currently, there is committee that government has set up that is looking into this. “And what they are trying to do is to incorporate dialysis into the NHIS, (National Health Insurance Scheme) and hoping that it would at least cover, if not all, at least a few sections and possibly subsidise subsequent sections. “I think government can do a bit more as well, that is, to look at ways of bringing down the cost of dialysis and what contributes to the major cost of consumables. “So, if we either start to manufacture the consumables locally or we eliminate any duties and taxes that are imposed on those who import these things, it will drastically bring down the cost of these materials,” Bamgboye said. This story was published in Newswatch Times on October 12, 2013.